Apple unveiled iCal to the world on July 17 2002 —a date that lives on in a macOS icon even if the app isn't called that anymore. 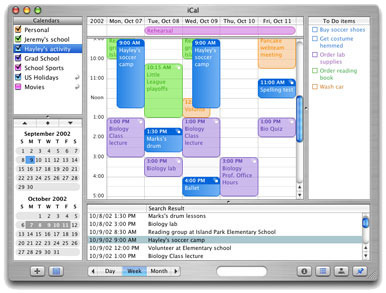 iCal, an underrated but essential part of the Apple ecosystem, was unveiled 16 years ago today, on July 17, 2002, at the Macworld Expo in New York. "iCal lets you see all the calendars that make up your life," Steve Jobs said in the press release announcing iCal, which arrived as part of Mac OS X 10.2 Jaguar. "With built-in Internet sharing, iCal opens a new era of wide-area calendar sharing between colleagues, friends, family and schools." The introduction of iCal predated the release of the iPhone by five years, and was aimed at first at Mac and iPod users. And to give an idea of the era in which it was introduced, Apple touted the ability to sync calendars across "the new generation of Bluetooth-enabled mobile phones, PalmOS devices and the iPod." iCal was one of the few Apple software products not developed in Cupertino; it was actually put together in France by a team led by longtime Jobs associate Jean-Marie Hullot. 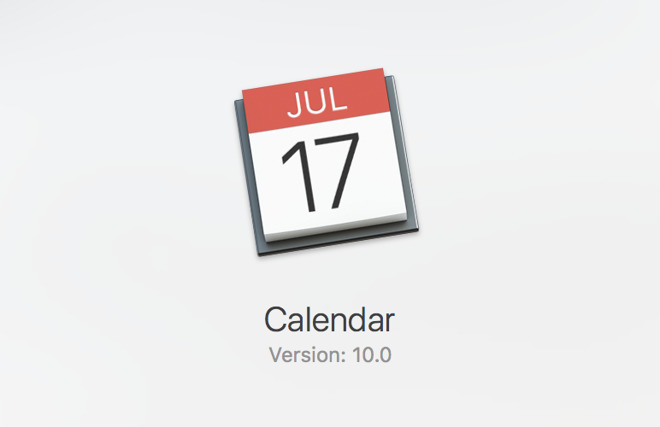 For many years, the iCal desktop icon always displayed the date "July 17" and to this day, it's the default icon for the calendar in MacOS. While Apple has never confirmed it, it's widely assumed that the July 17 is a reference to the date when the feature was introduced. It's similar to the lore about iPhone clocks always displaying the time of 9:42 in TV ads, in accordance with the time of day of the original iPhone announcement in 2007. While the iOS Calendar is now "dynamic," and features the current date rather than July 17, the Mac app icon, and calendar emoji in iOS keeps the July 17 date. July 17 doubles as World Emoji Day, an unofficial holiday that was chosen for that reason. Apple has, in the past, unveiled new emojis on the 17th. Like a lot of aspects of iOS and macOS, iCal evolved over time. The design changed, it added support for Microsoft Exchange and later Google and Yahoo calendars. Apple has also gradually changed the ability to adjust snooze durations. Then, on macOS, iCal became known as simply Calendar with the release of OS X Mountain Lion in 2012. That update also added search suggestions and the ability to add attachments. The update in 2016, for macOS X Mavericks, added travel time and weather to locations in Calendar. And in iOS 10, the mobile version allowed selection of time zones when entering times. Through all this, the iCal name changed, as did the app itself. But, for a time, a group of Apple enthusiasts celebrated July 17 as "iCal Day" and vestiges still remain today.